The basic definition of evolution is a change in the gene pool of a population of organisms over time. All evolution is based on genetic change. 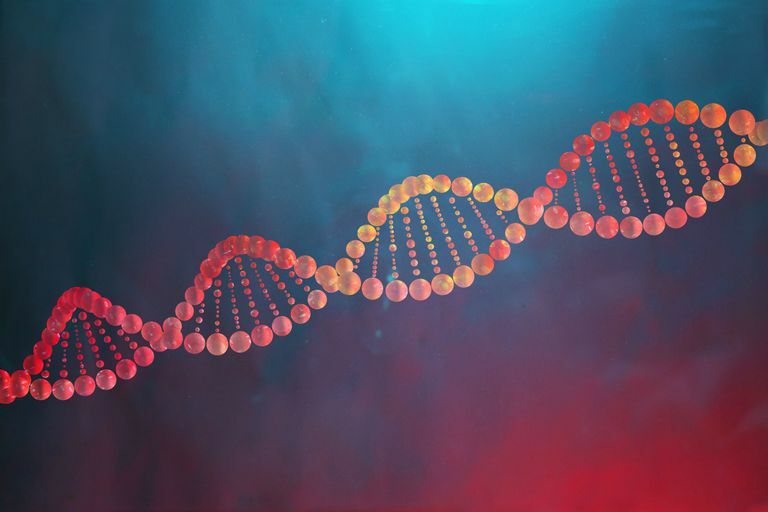 Scientists still have a lot to learn about the workings of the genetic code, but science has built up a large volume of knowledge about how the genetic material of living organisms works. We have a pretty good understanding of what DNA does in general and, equally important to evolution, how DNA changes. The foundation of evolution is not just working DNA but changing DNA. The primary mechanism of significant change in DNA is a mutation. That DNA is subject to mutation is a fact, and it has been directly observed. Also, many of the mechanisms of mutation are understood including mutations that can lead to drastic changes in an organism. This means we understand some of the mechanisms by which changes in an organism can be affected. All living organisms have in common that they possess genetic material that is subject to these mechanisms of change. What's more, we understand that the characteristics an organism possesses are determined by its genetic code — its genes are largely what makes an organism what it is. These facts, that 1) DNA determines the nature of an organism and that 2) there are mechanisms through which DNA can be modified, are the basis of evolution. It is through these facts that evolution happens. Now, given that DNA makes the organism what it is and DNA is subject to change it is reasonable that, through successive changes that are passed to successive offspring that large-scale changes in genetic code can take place over time. The only way this would not make sense is if some mechanism were identified which would prevent a sufficiently large accumulation of changes from happening. No such mechanism is known. So, we have a mechanism for encoding the characteristics of a life form, a mechanism for this code to be changed, no known mechanism to definitively limit the number of changes that can take place, and lots of time for changes to take place. The very basis of evolution, genetics, supports the idea that common descent is at least possible both biologically and logically. The key area of disagreement between creationists and evolutionists regarding genetic operation is that the creationists claim genetic change cannot go beyond a certain point. Usually, there is no support offered for this position, but sometimes a case is made that mutations are detrimental to an organism and that if too much change took place over time, the organism would not be viable. The question is open as to what percentage of mutations which affect the organism are likely to be detrimental or beneficial. The vast majority of mutations are likely to be neutral or may even have no effect at all. However, it is clear that both detrimental and beneficial changes can take place. Furthermore, there are a variety of ways in which the effects of detrimental mutations can be mitigated, for example through sexual reproduction. One problem with this debate is that creationists rely too heavily on a theoretical point that lacks any evidentiary support — which is ironic, given how much they complain about an alleged lack of evidence for evolution. Creationists theorize that changes over time must result in inviability of an organism (or sometimes that survival is so unlikely as to be equivalent to impossible). This is a "magic line" which cannot be crossed but which they cannot point to in any set of evidence or describe through an analytical model. Evolutionists, in contrast, can point to empirical mechanisms that can allow organisms to survive with mutations. First, severely detrimental mutations would kill an organism or prevent it from passing on its genes. Second, currently living organisms do carry genes with detrimental mutations, and yet these organisms thrive. Given that evolution has had billions of years and many billions of organisms to work on (which would tend to weed out large-scale detrimental mutations), the "unlikely" survival of organisms with mutations doesn't seem so unlikely anymore. Thus while the conclusion that extensive changes have occurred over time is based partially on inferences and an interpretation of data, the evolution side has strong evidence to support the idea that evolutionary development and common descent are both biologically and logically possible while creationists have nothing to demonstrate it is not possible. It is worth mentioning that anyone claiming that something is impossible has a much higher hurdle to jump than those who argue that something is possible. Is There Direct Evidence of Evolution? How is Junk DNA Biochemical Evidence for Evolution, Common Descent? Are Abiogenesis and Evolution Really the Same Thing? Evolution: Fact Or Theory? Or Both? Does Accepting Evolution Require Atheism?